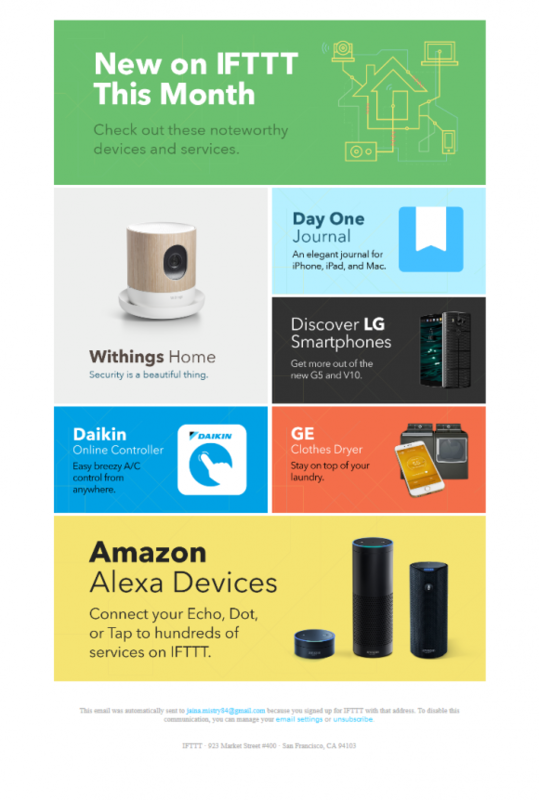 Check out these noteworthy devices and services. This newsletter was automatically sent to x because you signed up for IFTTT with that address. To disable this communication, you can manage your email settings ( http://ifttt.com/settings ) or unsubscribe from the IFTTT Newsletter.